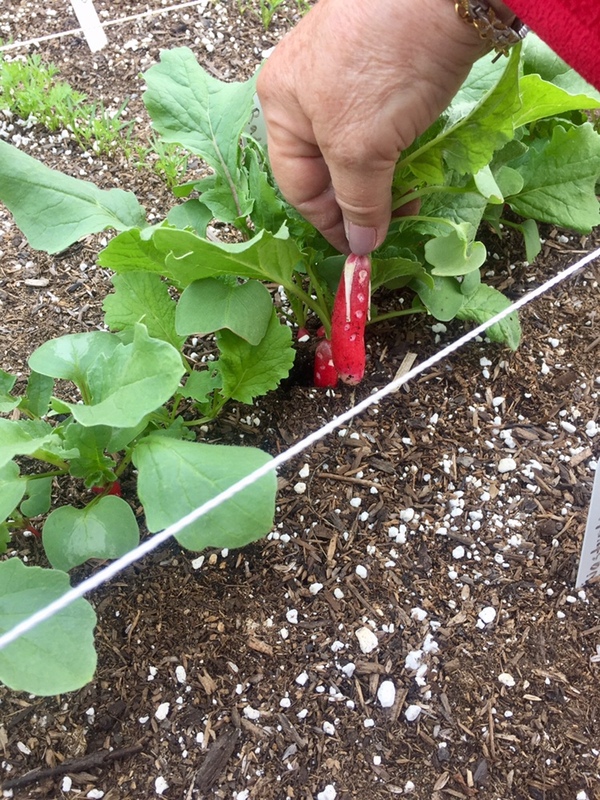 Mama picked the first radishes from this season’s crop today, and ate them right in the garden. She has been carefully following and recording their progress since the day we planted the seeds. Mama reports the fresh radish was a bit sweet, and not at all bitter. Today’s #OneGoodThing was Mama‘s excitement to pick and eat the first radish from our garden! Day 114 of 365. And Day 845 in a row (here’s the first 366 & the following 365)! 7 years ago today: What’s in a name? What was your #OneGoodThing today? Please share in the comments! Copyright © Gabriana Marks and Nosy Parker Blog, 2010-2019. All Rights Reserved. Unauthorized use and/or duplication of this material without express and written permission from this blog’s author and/or owner is strictly prohibited. Excerpts and links may be used, provided that full and clear credit is given to Gabriana Marks and NosyParkerBlog.wordpress.com with appropriate and specific direction to the original content. When life gives you cancer, make a punctuation pun. Life as a cancer thriver, by Jenessa Schwartz. Because we belong to one place, we can love the rest of the world.